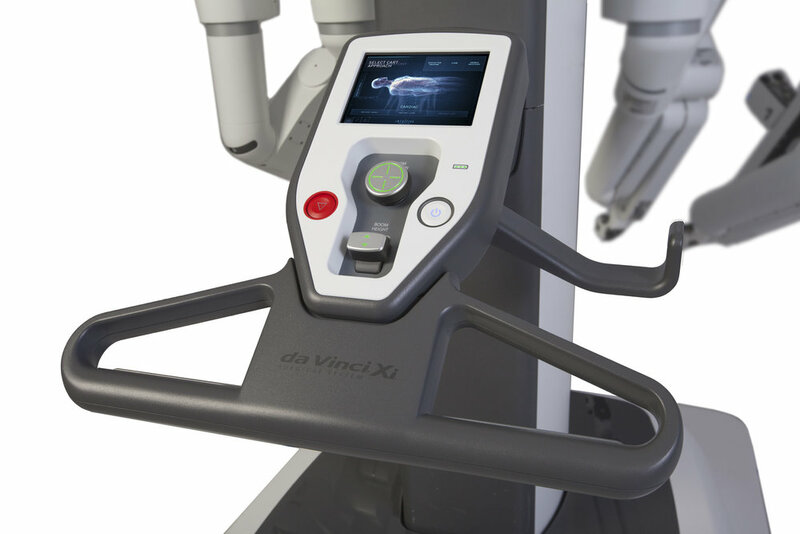 The daVinci Xi is the next frontier for minimally invasive surgery. 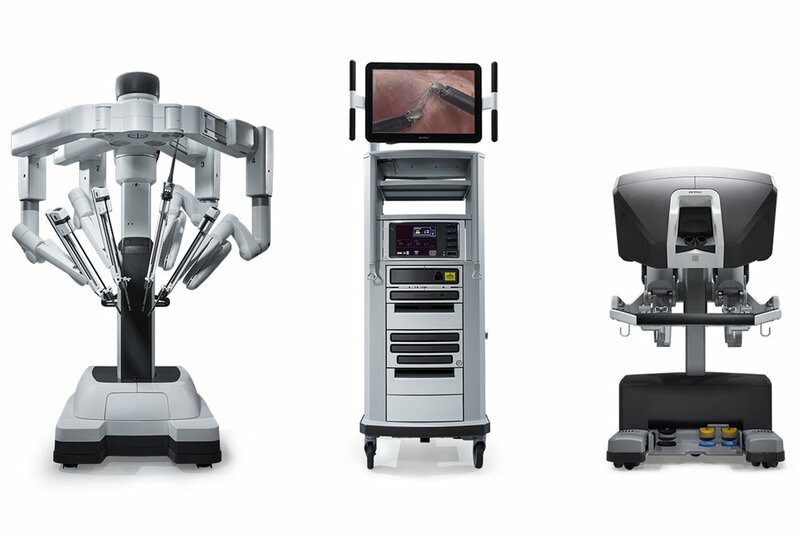 The daVinci Xi System is optimized for highly complex, multi-quadrant surgery and simpler, single-quadrant surgery. Wide range of patient access from practically any position. The daVinci Xi cart combines the functionality of a boom-mounted system with the flexibility of a mobile platform. The patient side cart can be placed at any position around the operating table, allowing the surgeon access to the patients anatomical four-quadrants. The arms of the Xi are much thinner and the instruments have been streamlined with longer reach for a more flexible port placement. Redesigned arms offer greater range of motion. 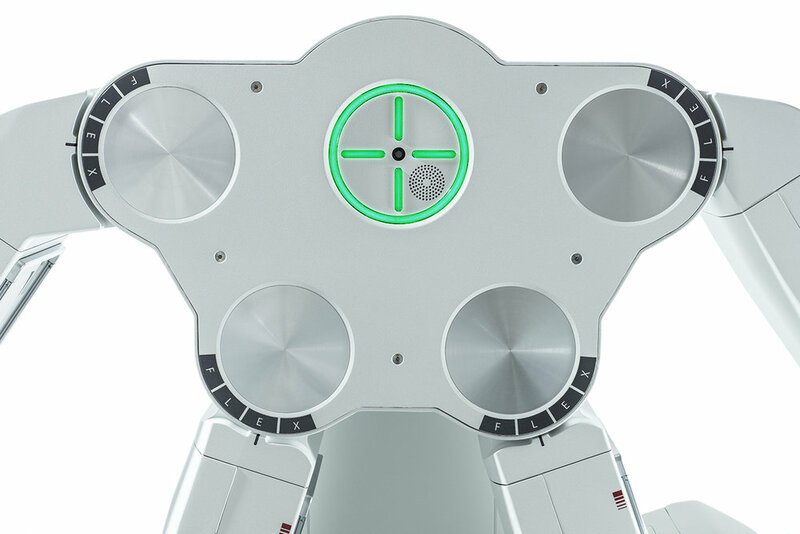 The laser targeting system takes the guesswork out of positioning the patient cart on to any of the patients multi-quadrants. Once attached, simply point the scope at the target anatomy and the Xi positions and optimizes boom placement, assuring optimal configuration for the procedure. 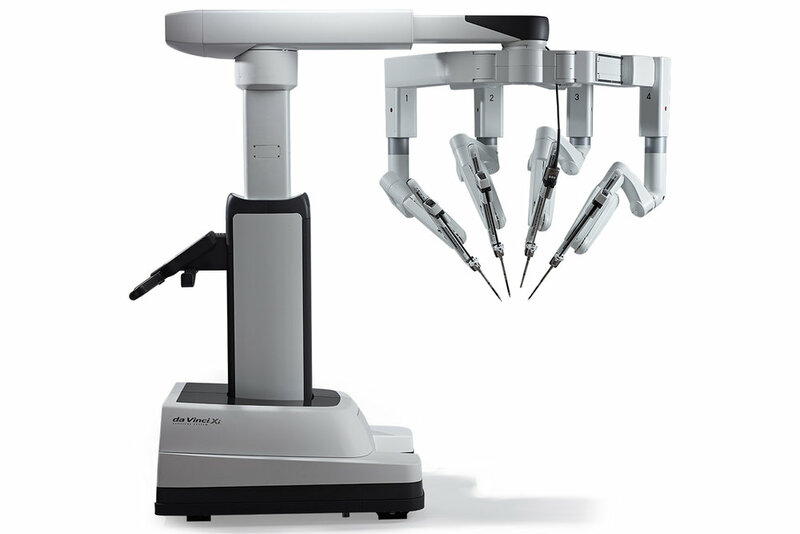 Working with Intuitive Surgical for over 9 years as the lead industrial designer, spanning 3 generations of surgical systems [DaVinci S, DaVinci Si, DaVinci Xi], Ricardo and his team have developed a comprehensive understanding of robotic surgery design, ergonomics, work-flow and user-interface around these complex and sophisticated surgical systems. Parts of the daVinci Xi were done in collaboration with S. Waters & F. Bould.